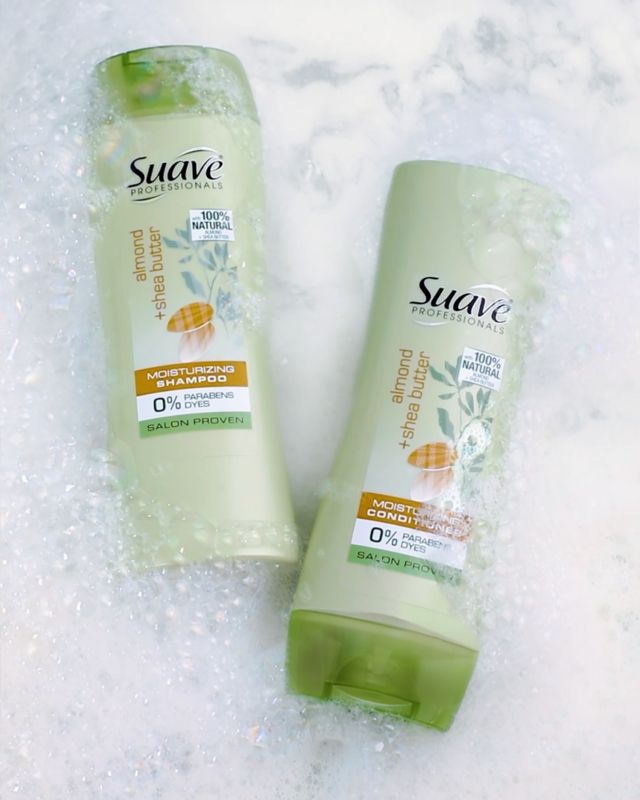 Suave was ready for a new digital look and feel but didn’t want to fully rebrand or redesign their packaging. 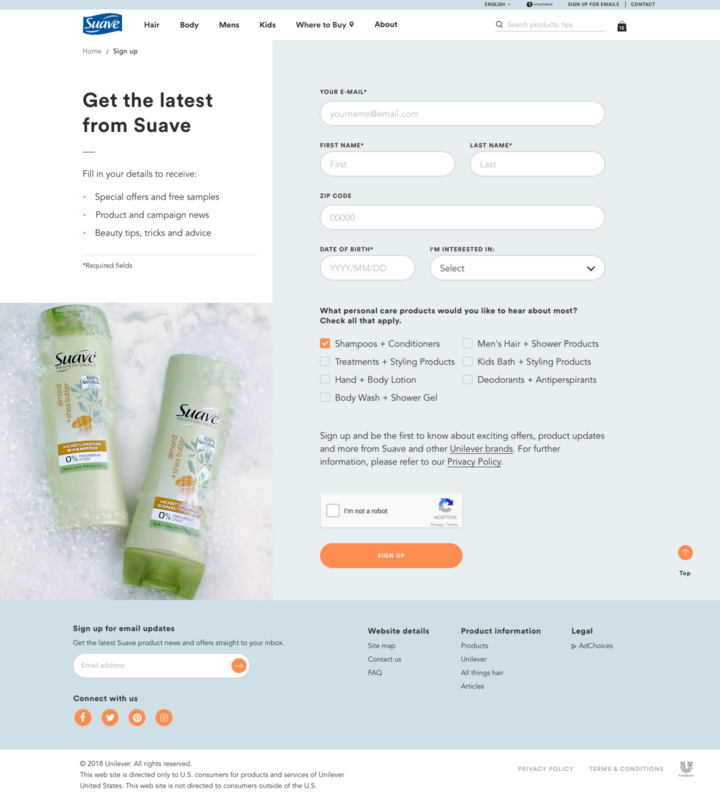 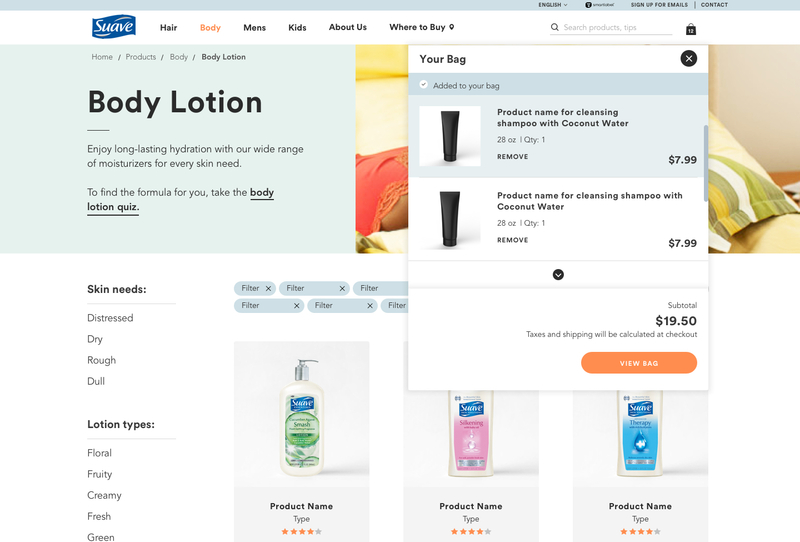 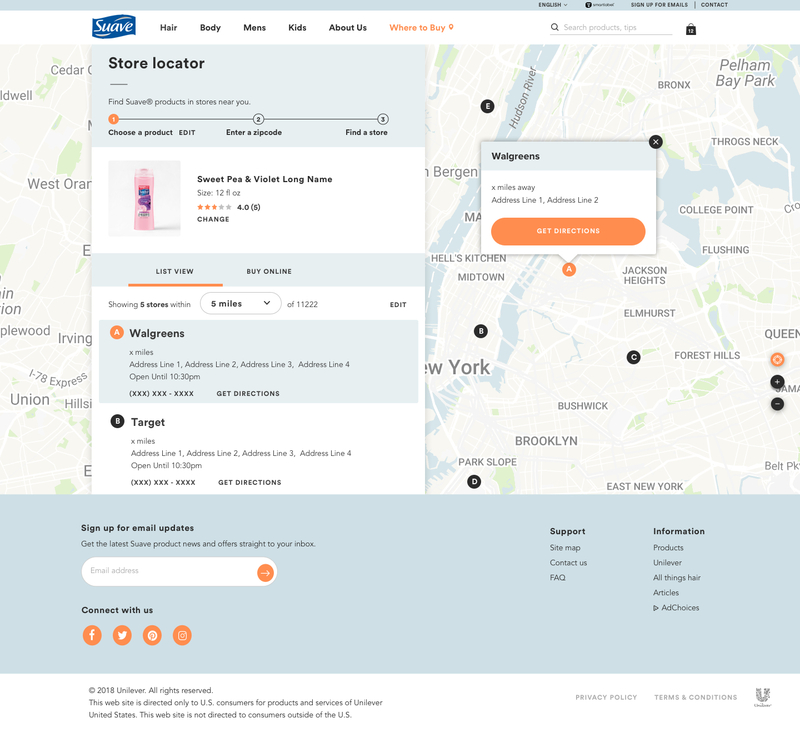 Using a Unilever built framework, I created a refreshed color palette and modern beauty ecommerce style that kept Suave feeling playful and confident without straying too far from the comfort of their target audience. 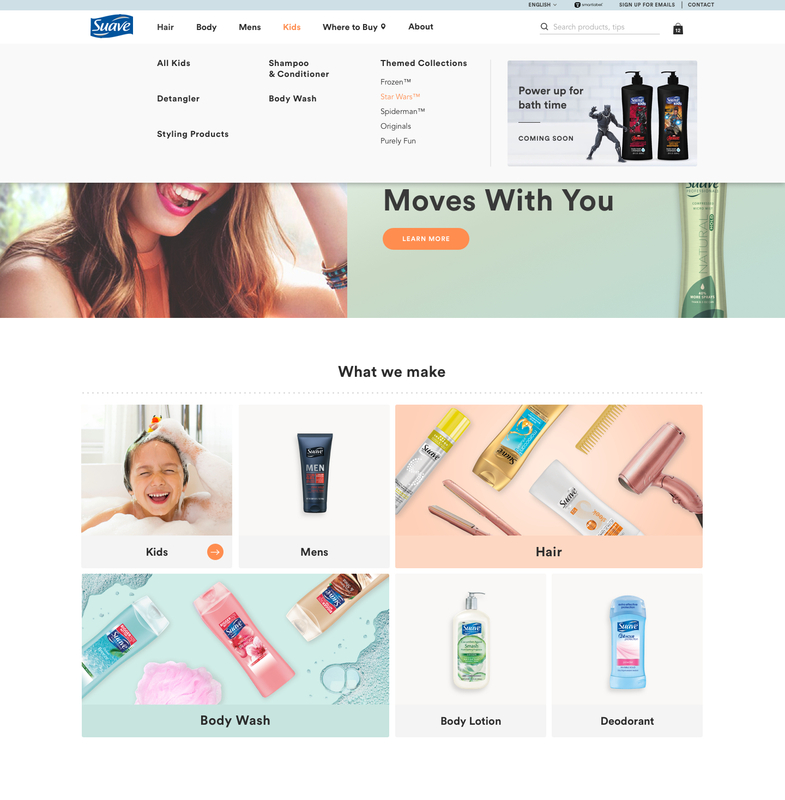 I landed on a simple clean aesthetic that could remain timeless as the brand continues to explore their future product direction.